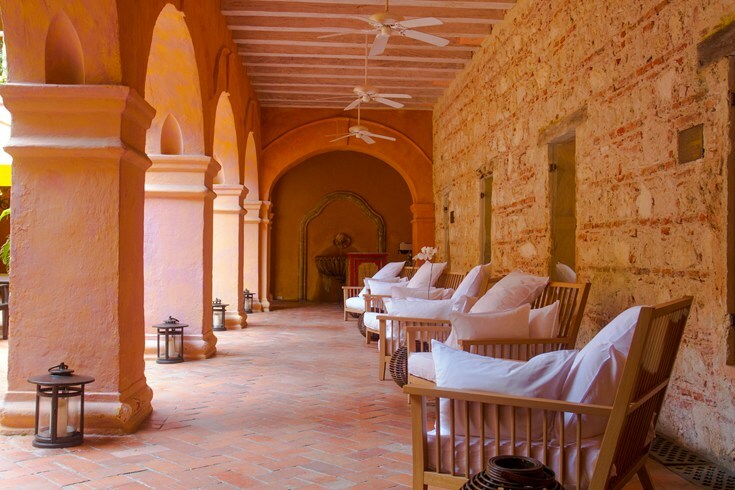 Nestled in the heart of a UNESCO World Heritage site, this luxury 5 star hotel in Colombia’s Caribbean coast is renowned as one of Cartagena’s best boutique hotels and one of the top 5 star luxury hotels in Colombia. Set within the walled city of Cartagena, Charleston Santa Teresa is surrounded by world-class cultural heritage, yet is just blocks from the Getsemani Convention Center, and within minutes of the more contemporary districts. A former convent, the hotel embodies the history, flavor and mystique of the city, artfully and skillfully combining colonial and republican styles. Restored by expert hands, the sophistication of every detail can be appreciated throughout the property, from its stately façade to its splendid yet warm interior. A block of rooms has been set aside at the Hotel Charleston Santa Teresa. Below you will find discounted rates per night according to different types of rooms. Kindly book by May 17th, 2017 to secure these rates. To reserve please send your inquiry via email to Lina Florez at res@charlestonsantateresa.com and reference "Matt & Ximena Wedding" in the subject. They will not charge your Credit Card yet. They will just use it to guarantee your reservation. You may cancel your reservation without penalty one week before arrival date. Otherwise, there will be a penalty of one night.